There are things in this life which are beyond our control, but nothing is beyond God’s control. I have a habit of giving my burdens to the Lord and then taking them back. Can anyone else relate? From the time we are children we are taught to be independent, to take care of ourselves, to handle our own problems. That’s a good thing because it teaches us responsibility and self reliance. We can’t spend our whole life expecting other people to take care of us. It’s also a bad thing because we are are constantly engaged in spiritual warfare. Satan will do everything in his power to steal, kill and destroy you. 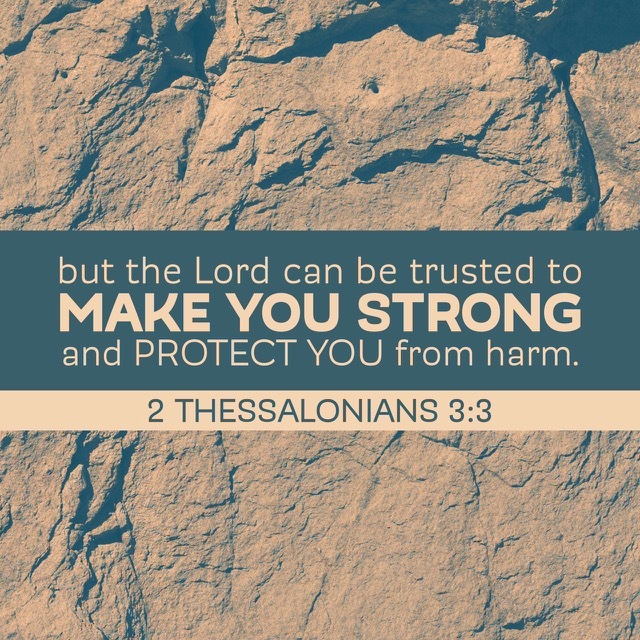 While God has equipped us with the full armor of God, He also promises to sustain us and give us the stability to stand, unmoved by circumstances, WHEN we give our burdens to Him. Prayer: Father, thank You for Your faithfulness. Remind me when I am struggling with things beyond my control that I simply need to release them to You. I know I can trust You to sustain me. God no longer resides in manmade buildings, He resides in the body of His children. WE are the church. WE are the sanctuary of God. How astonishing to know that the God who created you resides within you. You are never alone. How comforting to know that when we come together with fellow Christians we are made stronger by the power of God within us. Prayer: Father, what an honor to carry Your presence within me wherever I go. Because of the Spirit dwelling within me I can do all things through Christ who gives me strength. As Your temple Lord help me to represent you well. Shine brightly through me, drawing others to Your amazing grace. What is the secret to perfect and constant peace? According to Isaiah it is in keeping our mind focused on God. When we commit to Him, lean on Him and put our hope in Him we can remain at peace regardless of our circumstances. Being a Christian doesn’t shield us from hardship or heartache, but it does guard us from being hopeless. THAT my friend is perfect peace! Paul wrote this passage as he was requesting prayer from the Thessalonian church. He knew there would be opposition as he spread the GOOD NEWS. He also knew as he moved on from the churches he had planted, they too would face spiritual assault. There are many conflicting messages today. When we are confused and unsure who to believe, the Lord is still faithful. Ask Him to strengthen you and give you the stability of a firm foundation, based on HIS word rather than the doctrines of man. Prayer: Lord, thank You for Your faithfulness. Strengthen me and set me on the firm foundation of Your Word. Help me to disearn truth and guard my heart from the deception of the evil one. Amen. If you smile at a complete stranger they will usually return the smile. If a simple smile has such impact, imagine the power of words. Change someone’s day today by speaking life and encouragement to them. 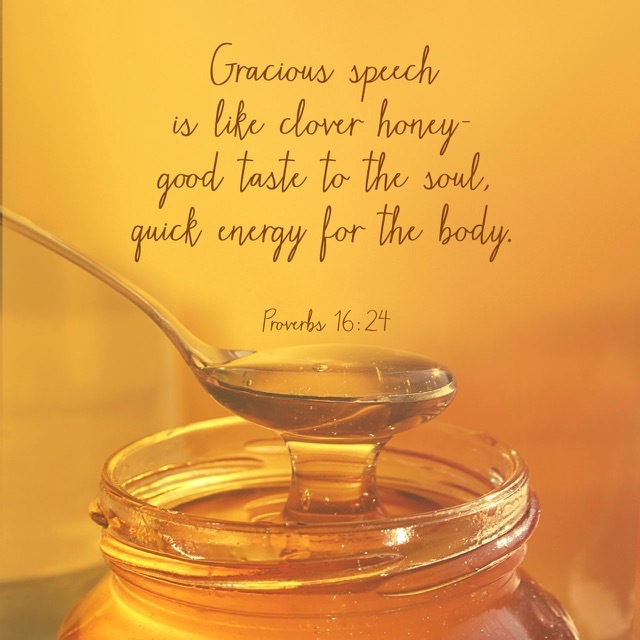 Use the gift of speech to be a blessing. People need affirmation. They need to feel loved and appreciated. They need to know they matter. Who do you know who is going through a hard time right now? Reach out to that person and let them know you are thinking about them, praying for them, and believing for God’s best for them. God’s word tells us, “Death and life are in the power of the tongue.” Proverbs 18:21 AMP. Prayer: Lord, help me to speak life and encouragement to someone today. Use my words to bring healing and guard my tongue so that I do no harm. Amen. As a teen I lived in fear of God. I thought that was the way it was supposed to be because the Word says, “The fear of the Lord is the beginning of wisdom.” Proverbs 9:10 NKJV In reality the word ‘fear’ in this context means to worship the Lord with reverence or awe. It was difficult for me to comprehend that the Lord could ‘take pleasure in me’. To think that we can ever gain God’s favor through performance is actually prideful (and unattainable). It is only when we humble ourselves and acknowledge our sin that the Lord can ‘beautify us with salvation’. Prayer: Lord, You alone are worthy of my worship. I am in awe of Your majesty and grace. I surrender my life to You. I humbly acknowledge that while I can never be ‘good enough’ to earn Your favor; you offer me grace when I acknowledge my sin. Wash me Lord, and I will be clean. 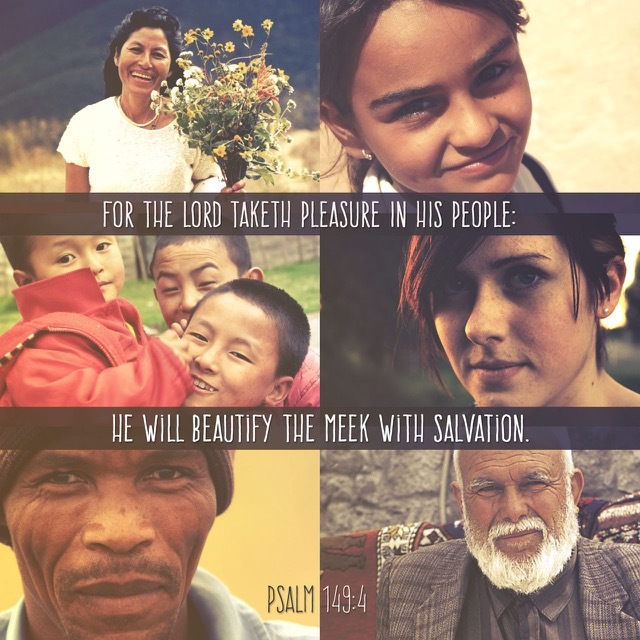 Let the beauty of Your salvation radiate my countenance. Amen. Webster defines a gossip as: a person who habitually reveals personal or sensational facts about others. Does this mean it’s ok to share private information as long as you don’t make a habit of it? Of course not, but it is something we are all guilty of from time to time. Just because something is true does not mean it is kind or necessary to share. I believe if we remind ourselves of these three questions we will keep our motives in check and speak less freely about things that either stir contention or damage someone’s reputation. Honestly, I believe there are only a few situations that would meet this standard, such as knowing someone is a danger to themselves or others, or seeking mediation with an impartial third party where both individuals have the opportunity to share their side of the story. Prayer: Lord, help me to guard my mouth and use my words to build others up rather than tear them down. 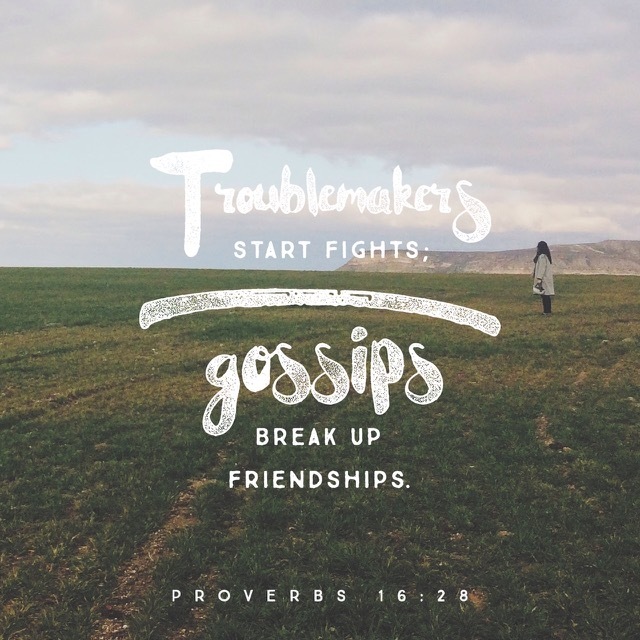 Forgive me for the times I have been guilty of gossip. When I am tempted to speak about or against someone remind me of these questions … Is is true? Is it kind? Is it necessary? Amen.